Place the blended mango pulp in a bowl,add the juice concentrated or rose syrup,lime juice and ice cubes well. 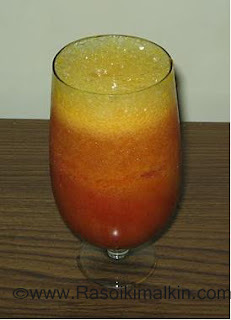 Pour into a glass upto 60%,and the remaining fill it with soda or sprite. Agood fizzi drink is formed.